KayKiSpeaks.com: Chris Brown is Caught by Paps Trying to Hide Some Chick in His Truck - Where's Karrueche? 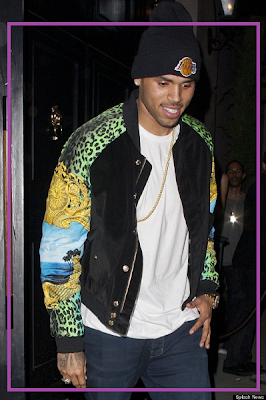 Chris Brown is Caught by Paps Trying to Hide Some Chick in His Truck - Where's Karrueche? 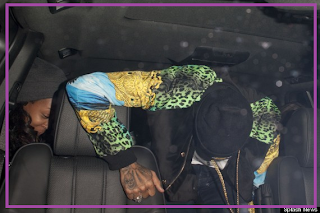 Papz caught Chris Brown and crew leaving the club and getting into their ride, only a few things were unusual this time around. Point number a.) Karrueche was no where in sight, and if you've followed this saga over the last few months you know, she's EVERYWHERE he is. Point number b.) Chris seems to be trying to use his entire body to hide some chick in his car with him only the Papz are talking about him having a new chick and get a pretty decent shot of her over his shoulders. Some have suggested that Chris and Karrueche have an open relationship and she's cool with him creeping- well if thats the case & he is creeping- what is he hiding this girl for?? Hmm..
Oh Breezy, now you know I loves you, but this is not a good look. Had he just got in and sat down and not seemingly tried to hide the mystery lady things wouldn't seem so suspect. Check out the video below..